An expertise of more than one decade in this domain has assisted our firm to manufacture, export, distribute, and supply an extensive range of Thrust Roller Bearings. Available in different finishes, lengths and diameters, these bearings are designed for automotive products, precision machinery and parts. The provided bearings are manufactured by our nifty professionals who use quality-tested metal steel and modern methodology in accordance with industry quality standards. 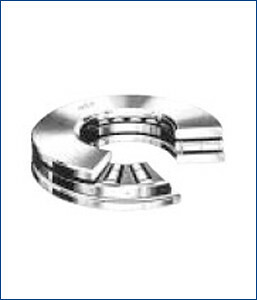 Additionally, clients can purchase the offered bearings from us at cost-effective prices.